In the applet below, an exterior angle of a triangle is shown. 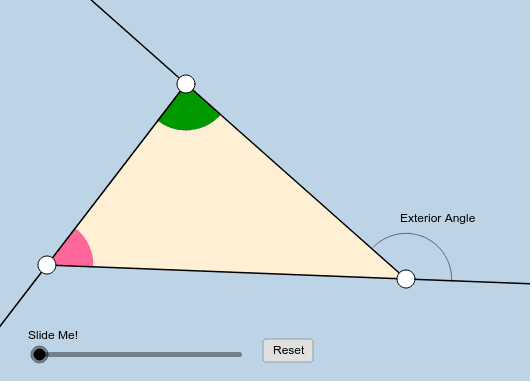 The pink angle and green angle are referred to as remote interior angles with respect to this exterior angle. What can you conclude about the measure of an exterior angle of a triangle with respect to its 2 remote interior angles? What other theorem is readily made obvious here?